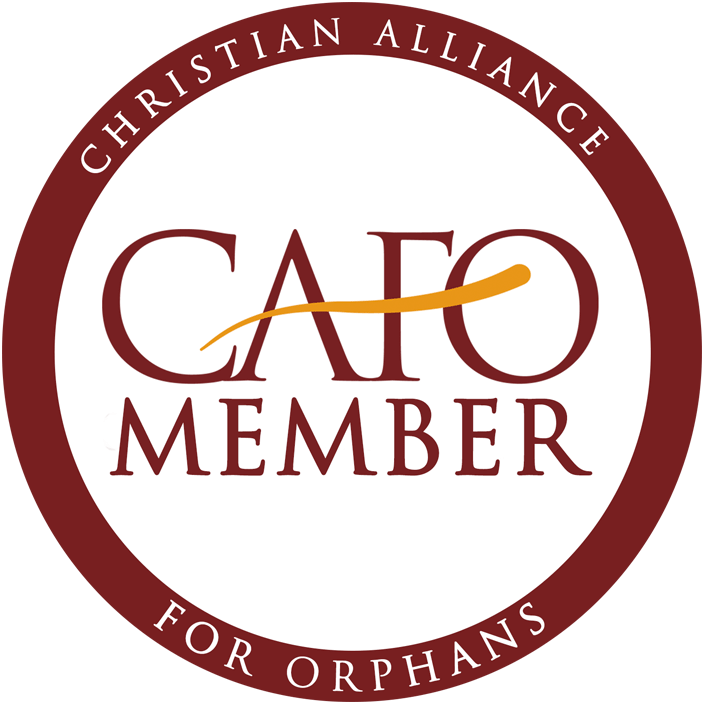 Beginning January 1, 2017, children age 10 & up are eligible for a $15,000 grant. 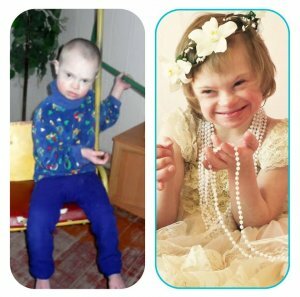 These older children with Down syndrome currently have $316,000+ in waiting funds. Additional information available on the new Older Child Grant policy. Through June 30, 2019, children with Down syndrome ages 6-9 are eligible for a $5000 Older Child Grant! Gus is an amazing little boy who just needs a chance! He walks, plays appropriately with some toys, loves to bathe. He loves to be tickled and has the best giggle. He seems to be able to form appropriate bonds, as he was particularly attached to a couple of workers at his orphanage, and sought them out when he felt anxious. He loves to be held and cuddled and he loves to be sung to. Gus would do best in a family with older children. He did display some aggression towards smaller children when they invaded his space. He is a precious, loving boy and will absolutely flourish in a family. Hayden is a favorite of his nannies, and very loved! 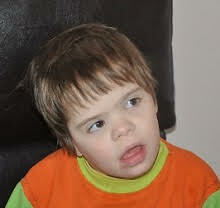 He was born with Down syndrome, and previously diagnosed with a heart condition that appears to have healed on its own. Hayden knows simple words, and can combine them to communicate his needs. He’s considered a leader of the other kids in his class; he follows directions well and wants the other kids to do the same. He’s a pleasant, easy going child, and nannies say he is very affectionate. Hayden can go up and down stairs on his own, and put on his clothes and shoes himself. 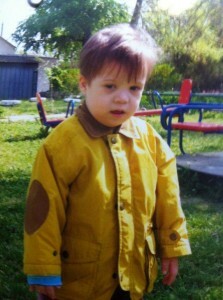 This very sweet young boy has Down syndrome. He is well loved by his foster mother and father. He was a dancer in the orphanage performance. Whenever he hears music he starts dancing. He was cooperative and happy. He can wash his face if his foster mom gets the towel ready and can do other self help skills. He can feed himself and. He can pull his pants up and down. He has good speech and can say many words. He pulls his chair to the table when it is time to eat and he will clean his mouth after he eats. He is kind when he plays with other children and does not take their toys. He likes to run around and play with balls. He is very curious and likes to watch large machinery outside. He loves cars and will play with them and watch them out the window for long periods of time. 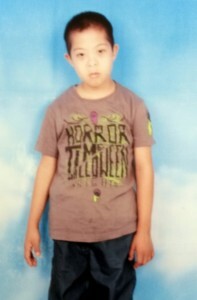 He was described as a “happy, curious and lovely child.” He is healthy and energetic. He is friendly to others and sensible! He does not have any heart issues. Single moms permitted, only one parent has to travel. 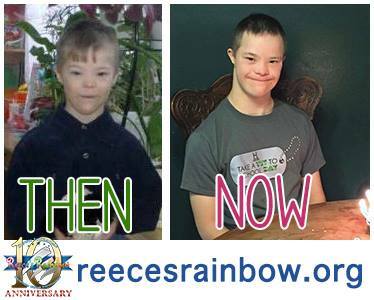 My name is Delano, and I was born with Down syndrome, but that doesn’t slow me down! My caretakers say that I am bright and active, and that I love to help out other kiddos! There is even more information about me in my full file, so please ask to find out more about me! This boy can dance…no doubt about it! Meet Nicholas! No updates since 2009, so the agency asked for video and a report. He has been hiding his talent for a long time! 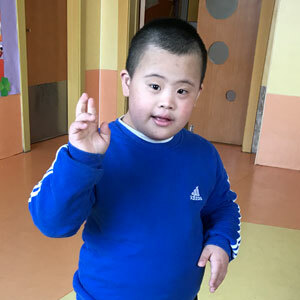 Nicholas has Down syndrome and a CHD (mitral valve thickening – the cardiologist said to monitor him for any difficulty, but he has been fine according to the orphanage staff). Nicholas’ development has been good. He is outgoing, active, and loves to dance! He also loves to play outdoors. Nicholas has been waiting for a long time for a family of his own! Joey was left in the hospital at birth. He is cleared for adoption and has been waiting for SO very long! He has lived in the same children’s home since he was an infant. He attends a school for children with special needs in the community. Joey sounds like an active guy — he enjoys riding bikes, jumping on the trampoline, and running games. He’s not a picky eater, and especially likes sweets. SO GLAD to have a new photo of Paul! Jan 2017. Paul is 13 years old. He is living in an institution and needs a family so badly. He is able to walk. 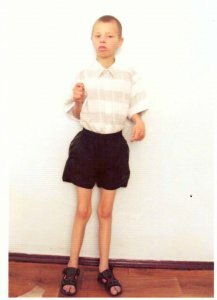 He is significantly malnourished, and will benefit from family life. Married couples only. Travel required. Zak came into care when he was about one year old. He has Down Syndrome, but is otherwise healthy. Zak can walk, run and jump. He can speak many words and makes good eye contact during conversation. His personality is described as warm, outgoing, active and optimistic. He gets along well with the other children and likes to be cuddled. He has good friends and a particular caregiver he is especially attached to. 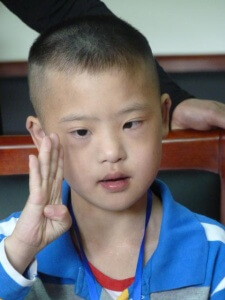 Holt staff met this child recently and more information is available, please contact us! This calm little guy came up to me with pleading eyes for attention and is just so polite. God has heard his prayers, and now he is listed for adoption! He is not overbearing or competitive at all. Rather, he is observant and inquisitive. He is about the size of a six year-old and just so gentle. I would take him home in a heartbeat if he was available before. He takes turns riding the red wagon around the orphanage grounds as the bigger boys pull him, and he gestures politely for fresh fruit when he sees it is available. He is kind to other children. He says a few words in his native language, and listened carefully when I was giving descriptions of my family photos. I have confidence that he would do wonderfully in any kind of family, and it is obvious– he can surely reciprocate love! He enjoyed throwing balls, going on walks, playing see-saw, and listening to English descriptions. 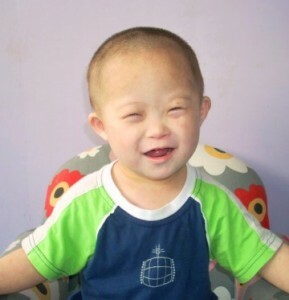 Whoever adopts this little love will be so blessed to call him a beloved son. Tomas is in urgent need of a family! He is already 7 years old and needs to get HOME. He has heart disease and recently needed a pacemaker installed. He can stand a little with a walker but cannot walk. He can sit up on his own. He can only babble and cannot talk. He does smile a little bit at his caregivers. I don’t believe he is able to feed himself. He needs 100% help with all his activities. 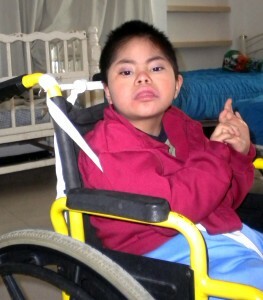 Tomas would thrive in a family setting, with access to all the medical care and therapies he really needs! Single moms welcome! Please inquire! 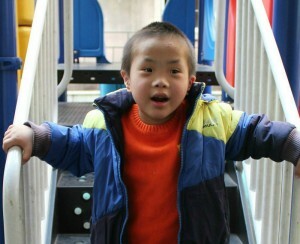 Zander is a cutie; he has been going to school inside the orphanage. He has been working hard in physical therapy and has improved his balance significantly. He is able to run and jump now. Zander can hold a pen to draw on the writing board and he can do some fine motor activities, such as beading, holding small objects, etc. Zander can eat food without help and he can put on and take off his shoes independently. He is cooperative with dressing, as he does need some help. Zander’s language and cognition are significantly delayed. He is much more like a 3-4 year old in that aspect. 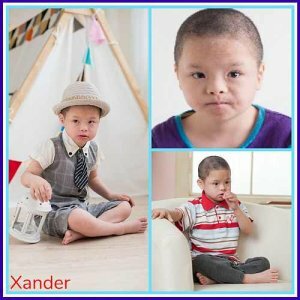 Zander is described by his caretakers as cute and they say he gets along well with the other children in his class. 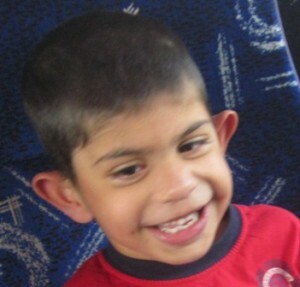 Zander likes to go to class, participate in activities, and play games with other children. 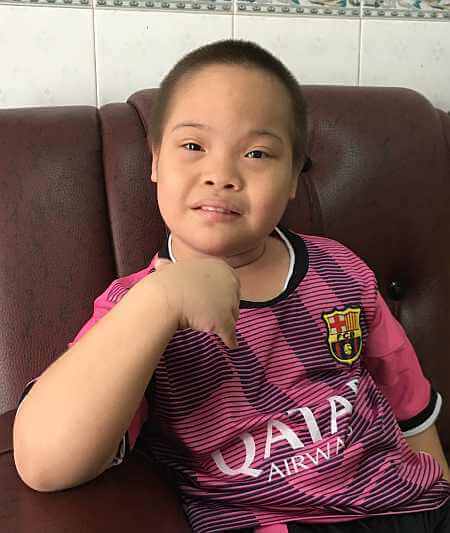 Zander needs a loving and supportive family who can give him more direction, encouragement, and services he needs to continue to progress. 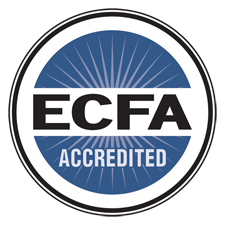 $5000 grant available from his current agency! The agency has videos available, too. Kolton is a natural performer! Mischievous Kolton loves performing for his nannies, his friends, and any visitors who stop by. 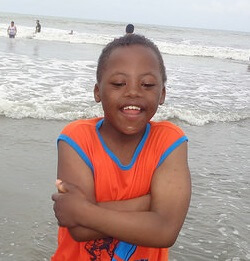 This outgoing boy has a good sense of humor and loves to make people laugh. He’s a quick imitator and often encourages the nannies to sit down so he can be the “Teacher”. 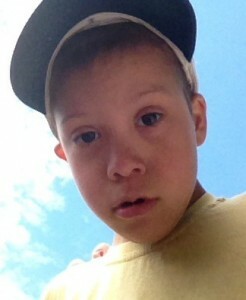 Kolton was born with Down syndrome and a heart defect. His physical development is good and he can run quite fast! Kolton’s speech is not clear and he only has a few words. He relies mainly on a form of sign language to communicate. Kolton need a family who is ready to access a range of services to help this young actor reach his potential. Are you ready for some play acting with Kolton? Charles is a sweet little guy, who looks like he’s in need of a Momma to scoop him up! 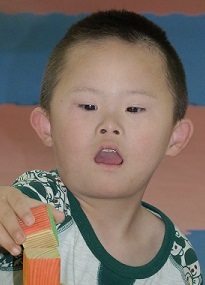 He is also listed as having barrel chest, which is common in children with Down syndrome. He has no listed heart condition or other health issues. Charles can be adopted with Megan or any of the other children in this orphanage! George can walk with support. He will play with toys. He is described as friendly and as having a positive attitude. He is exposed to games and activities, but he does not always participate. He is not aggressive toward himself or others. This 11 year old boy loves to do simple science experiments, dancing, and art activities. 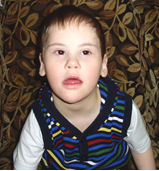 His caregivers describe him to be happy, extroverted, cooperative, and compassionate. 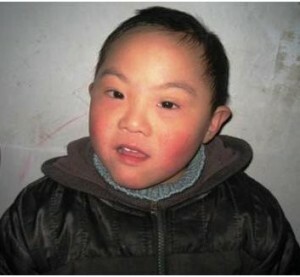 He was approximately two months old when he entered into care and is diagnosed with Down syndrome and Hepatitis B. He attends a special education class at his care center but is said to have a short attention span. His caregivers report that he is extremely active and uses gestures or sounds to communicate. Maurice is reported to be protective of younger children, follow rules from known caregivers, and show remorse. 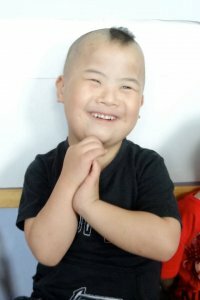 He needs a prospective adoptive family familiar with Down syndrome who can provide excellent access to therapies and special education. This older boy loves to be the center of attention and likes to be close to his teacher. He is diagnosed with Down syndrome. He is noted to have good gross motor skills and can ride a tricycle, run, climb, use utensils to eat, throw a ball, and stand on one foot. 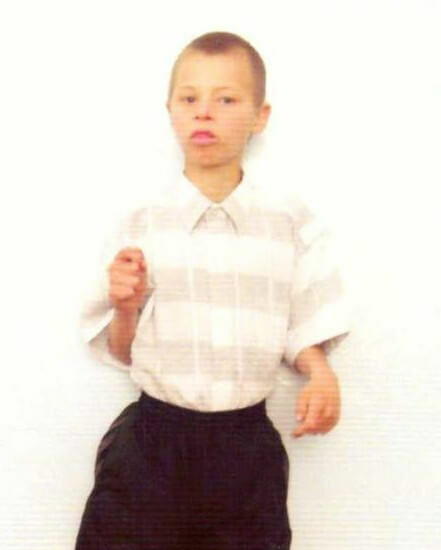 He has also learned to dress himself without assistance but is still learning additional self-help skills. 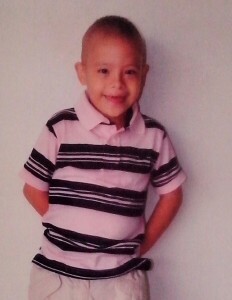 He enjoys dancing, coloring, playing with dolls, and watching cartoons. Sylvan has one close friend at his care center but does need additional assistance in social skills and learning to share toys. He currently attends a special education class at his care center and is reported to have a good attention span. His teacher notes that he can follow simple one-step instructions and remembers the names of most of his friends. He can say a few simple words and communicates with gestures. This older boy would do best as the youngest in a family. 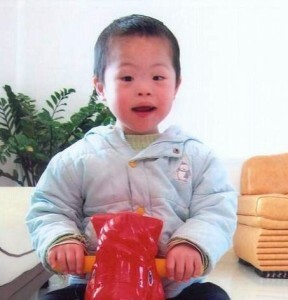 He needs a prospective adoptive family familiar with Down syndrome who can provide excellent access to therapies and special education. Andrue was raised by his birth family until he was 9 months old. 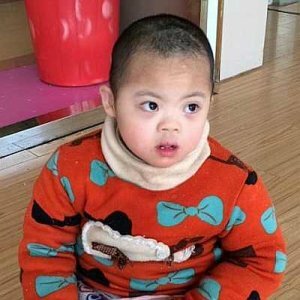 At that time, he was hospitalized for genetic testing and when the diagnosis of Down syndrome was confirmed, he was left at the hospital. He was then transferred to an orphanage and later on, to an institution for children with mental disabilities, which is his current home. Update 2016: Andrue makes and maintains eye contact. He laughs aloud and vocalizes. He knows and recognizes his name. The child understands the meaning of words as part of his everyday life. He understands one-step instructions that are related with everyday activities. He participates in group activities in his class mostly as a spectator. 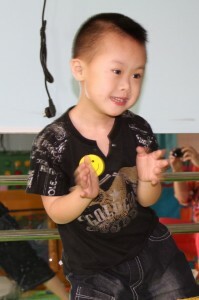 He joins simple games of imitation with his teacher and classmates (such as clapping hands). He becomes very relaxed when he hears a favorite melody of his. His expressive speech is underdeveloped. He doesn’t yet use language for communication. He expresses his needs and desires through vocalizations. Andrue initiates interactions with familiar adults by laughing, vocalizations, handing them objects, etc. He eats independently and uses utensils. If he hurts himself and is in pain, he would look for help. He is relatively independent when using the bathroom, washing, etc. He announces whenever he needs to use the bathroom. Mason, born April of 2008, has an infectious smile! Mason can walk and can go up and down stairs independently. He likes playing on the slide, riding the wood horse on the playground, and chasing and playing with other children. Mason can use a spoon to eat and a cup to drink water. He can put on and take off his own clothes and shoes. Mason is toilet trained and washes his hands after going. He can brush his teeth and wash his face every morning. Mason understands the teacher’s instructions and follows through. 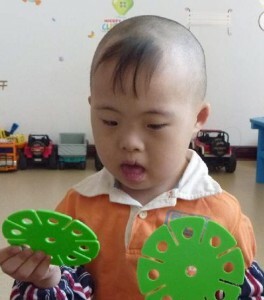 He likes to play with toys and read books with other children in the activity room. 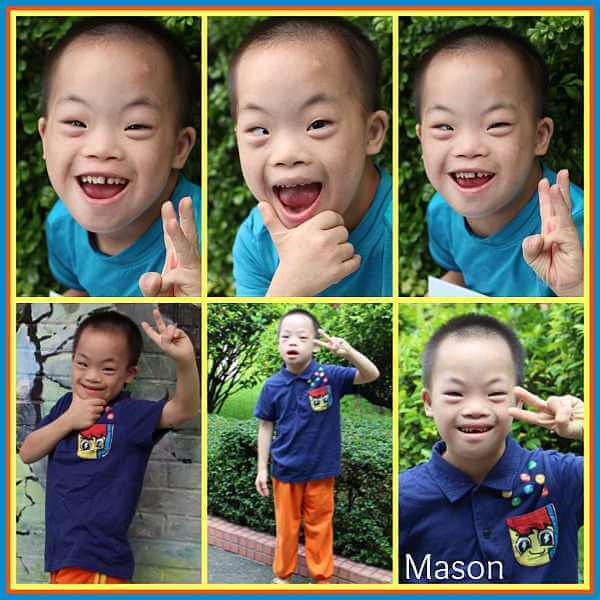 Mason is described by his caretakers as positive, active, mild-mannered, smiley and kind to others. He can speak, but not clearly. His clearest word is “ayi.” Mason likes to help his caretakers by sweeping the floor, cleaning the table, etc. 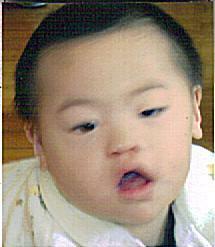 Mason was born with down syndrome and esotropia. Mason has good self care skills. He “is sad if you tell him no.” He doesn’t talk much, but does make simple noises and can say some simple words. He attends the special education school. He is a happy child. Mason helps his teacher clean up the classroom. His teacher enjoys him and reports he is a high functioning child. 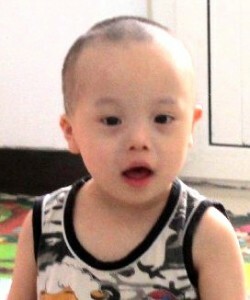 There is a $1,500 agency grant for Mason’s adoption with his current agency. Jamison is sweet, very affectionate and loves to play outside. Single moms welcome!! Madden is doing very well! He is physically healthy and has never had any medical concerns. Like most children with Down syndrome, he’s physically small for his age. He weighed 34 pounds on his 7th birthday. Developmentally, Madden is delayed. He can walk and has good gross motor skills. He is talking and can say words and use simple sentences. 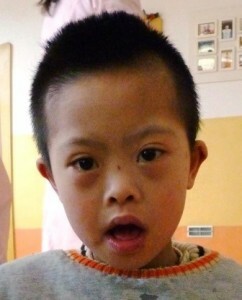 He knows and pronounces his name and the names of the other children and care givers in his group. His articulation is not always clear. 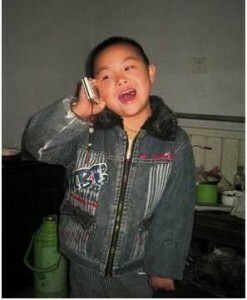 He is receiving speech therapy. Madden is described has having difficult with focus and attention. He follows directions and is very compliant with the teachers and staff when given encouragement and positive feedback. He is learning a variety of life skills, including dressing himself, brushing his teeth and making his bed. 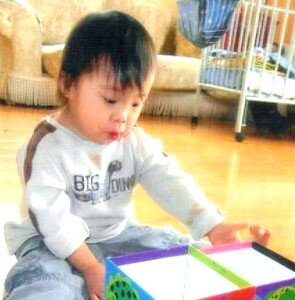 He enjoys playing with toy blocks and trucks. In September 2011, he began attending a daycare center to assist him in learning appropriate social skills and to help integrate him into the local community. Ulysess is considered significantly delayed. As of March 2011, he was not independently walking. He can pull to a stand, walk while holding someone’s hand, walks behind push toys and climb in and out of his crib on his own. He holds toys in his hands and plays with them. He enjoys music and smiles when someone sings to him. He does have some sensory issues and will often hide his head in his hands. He demonstrates some auto-aggression by hitting the side of his head with his palm. He has frequent kidney infections and it is possible that he experiences pain from his kidney condition that effects his behavior. Brooks is also believed to have FAS, as well. Brooks can be adopted with PAUL. 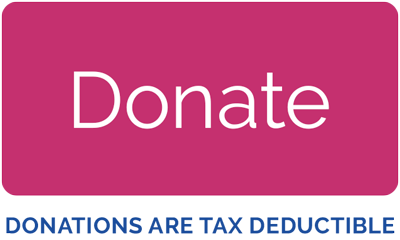 A family would be nearly fully funded with their doubled grant funding. Please consider them!! This playful, adventurous, sweet boy is Liam! He is 8 years old and will absolutely steal your heart. 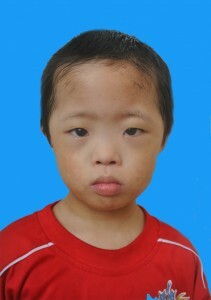 Liam can be quiet and introverted at times, but he is generally a very friendly kid! Whenever volunteers come to the orphanage he cannot wait to take pictures with them. He seems to have an eye for photography – he loves being in pictures and taking pictures of others. He especially likes to come up with funny poses! He can play games cooperatively with other kids, and he has a lot of fun building all kinds of structures out of blocks. Liam likes to be creative and has quite the imagination! 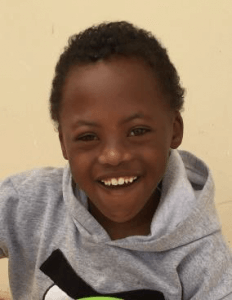 “Liam is a very happy little guy with the most contagious giggles you’ll ever hear, and I have no doubt that he’ll bring much joy to his forever family. He is a very energetic and active little guy who enjoys playing outside (at the playground, swinging and going down the slide are favorite activities), but he also is great at entertaining himself indoors by looking at books or “writing” (making marks on paper). He has a great imagination and especially loves to pretend to cook! He plays well with others but just as often seems to enjoy playing independently. Liam also has a bit of a mischievous streak — which isn’t necessarily a bad thing, but he does sometimes need help redirecting some of his energy to a more positive activity. I did see improvement throughout his time here with his ability to be redirected, and discipline-wise, short “time-ins” where we sat together quietly on the floor seemed to be most effective. Liam LOVES to eat…And would eat ALL the time if I let him. He is not picky at all; he’s eaten everything I’ve given him — fruit, veggies, yogurt, meat, pasta, etc. The hardest thing for him is being done with a meal/snack — even if he has had plenty to eat, he still wants more. This does seem to be getting a bit better, though. You can see more photos and videos from Liam’s time in the US on his advocacy page. Liam’s nannies tell us he is learning self-care skills. His recent health has been good, and he is not currently showing any symptoms of heart disease. Could you be Liam’s forever family? Update from 2016: He is easy going, cannot walk without assistance, understands simple instructions, affectionate, and doesn’t interact with children much because he isn’t moving around. 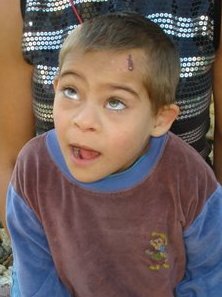 From a missionary who visited with him in August 2010: “Sean was found abandoned by the riverside at the age of 4 months. 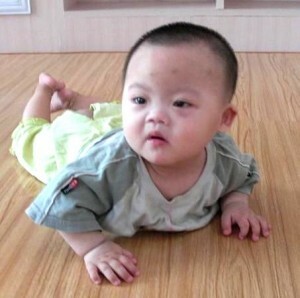 Sean is doing super and is well loved by his nannies!” Update from 2012: After his rehabilitation we feel his physical development is very good, he can clearly call father and mother, can sit alone, stand alone, can walk with holding something. He can not walk alone steadily, can feed himself snacks without help, good appetite, likes playing with other children sitting on the floor, occasionally he will challenge his favorite toys with other children. 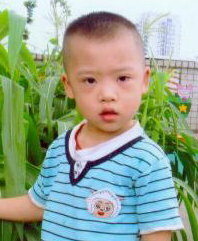 He is very favorable, and we hope him can find a family sooner to have parents to love him to live happier life. More photos available, along with full social history and medical records Single moms permitted, only one parent has to travel. 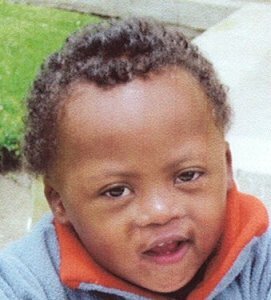 Thaddeus is a likeable, extroverted young boy who was nearly three years old when he was abandoned; upon admission, he was diagnosed with Down syndrome. He likes being around his caretakers and his peers, and he gets along well with others. 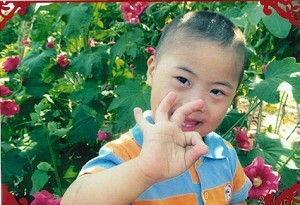 He loves playing games with other kids and enjoys outdoor activities. When he hears music, he loves to dance! He can speak simple word such as “dad,” “mom,” and “aunt.” His caregivers report that he can understand what others say to him and can complete tasks by following instructions. He has self-care skills such as dressing himself, washing his hands, feeding himself, and using the bathroom during the day. Agency staff met with him in May 2015 and we have updated photos and videos for interested families! This current agency also has a $4000 grant available to families who qualify to assist with the cost of this adoption. 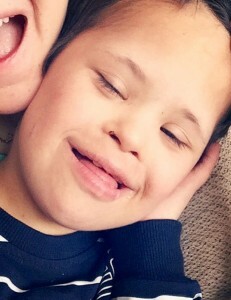 Evan is a 5 year old little boy with Down Syndrome. 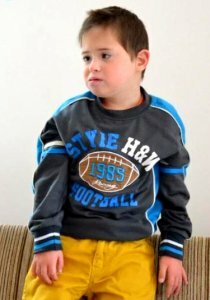 He is cheerful, energetic and talkative little boy who oves listening to music. 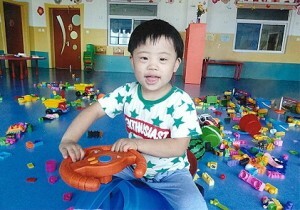 He is in preschool and his caretakers say that he is making great progress! His favorite thing to do is run and play outdoors with his friends. He can’t wait to have a family of his own! Erikson lives with a foster family on the grounds of the orphanage and participates in the Little Sister program. Erikson is active, energetic and has a ready smile. He likes to play games and is happy when he has other children to play with. He is attached to his teachers and the children he goes to school with. When his teacher enters the classroom, he smiles and runs to hug her. Erikson enjoys crafts, music, toy cars and sports. 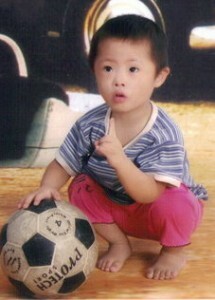 He loves to play football, badminton, ping-pong, bowling and running. An orphanage project team visited with Erikson last summer. 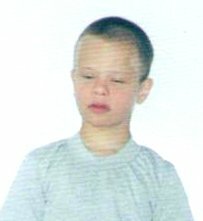 $0.00 has been donated towards the cost of my adoption! Would you look at these glowing almond eyes!? Derek reminds me so much of Reece! 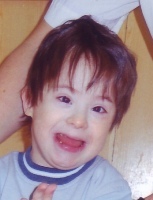 Derek is diagnosed with Down syndrome and congenital heart disease. 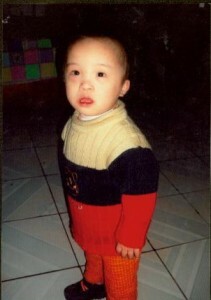 He lives in a foster family on the grounds of the orphanage and participates in the Little Sister program. 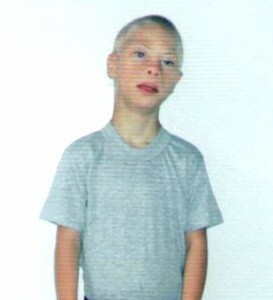 Derek is described as outgoing, extroverted, and active. 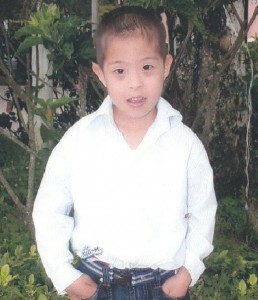 He enjoys school and enters the classroom every morning with a smile as he greets the teacher and other children. He loves to help his teacher as well as the children who are not mobile. Derek enjoys sports and does well in running and kicking and passing the ball. He enjoys drawing, dancing, singing, and playing games. An orphanage project team visited with Derek last summer. Visit THIS LINK for more info and VIDEO of Derek! 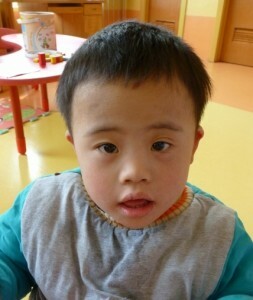 Jiminy is a sweet boy who has been diagnosed with Down syndrome. He is a very independent little boy who is doing well. Sometimes he will need to be reminded to go potty but other than that he can do everything all by himself! Jiminy can run, jump, go up and down stairs, and he likes to pinch things. Jimmy loves to eat! His favorite foods are rice, noodles, and fruits. He is now in kindergarten where he is active and outgoing. Jiminy can understand what people say but he does not know how to use big words. Jiminy can usually use words like, ba, ma, hao, yao etc. Jiminy lives with a foster family who lets him listen to lots of music. He loves trying to sing along! This cutie is Sammy. 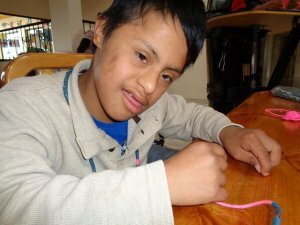 He has Down syndrome which has resulted in his development being just a bit behind his peers, but he is doing just fine. He loves to play with toys and listen to music….he will sing along when he is happy. When he meets someone for the first time he is initially shy, but quickly warms up and before long he considers them good friends. 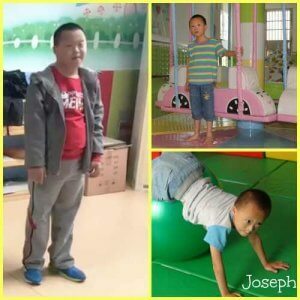 He had surgery last summer for an abdominal teratoma; no complications following surgery and no follow uptreatment is necessary according to the surgeon. This sweet little boy will be such a blessing for one special family. Bryce can turn the book pages incessantly to read it and take out the toys he likes from the toy box. He likes riding a bike and also likes to hold a pencil to scribble. He is extroverted. He likes to look into the mirror a lot and has rich facial expressions and actions. He can swing his body excitedly when hearing music. Seeing the dancing people, he can also dance to imitate them. 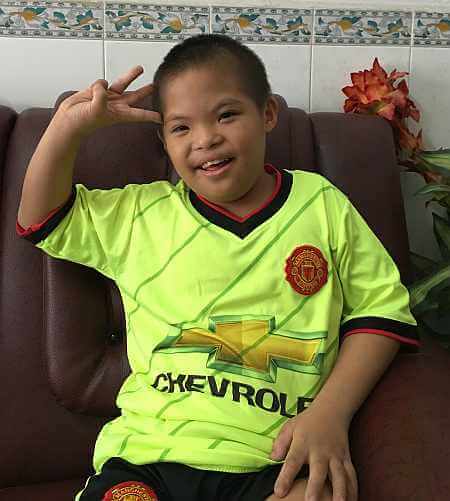 He likes to interact , play games and play with people very much. He gets along well with caretakers and kids. Everyone likes him very much! Titas is a leader in his orphanage. He is well liked by his peers and the caregivers. He has big, double lidded eyes and he is very gentle. He can understand much more than he can say. He goes to a special class, and he helps with the younger children in the class.He loves to play new games and sometimes he is naughty! Sloan is a happy, laughing boy. He likes to run and play ball. He is close with his caregivers. He is very curious and likes to explore new things. He is very expressive, and loves to play with other children. Boden was found in front of a building when he was 3 years old. He is a healthy, active and lovely boy. Boden likes going to his school and participates in classroom activities. His teachers just love him! Boden likes to crawl up his caretakers leg and into their laps. He will lean in for a snuggle. He is a great imitator and likes to imitate his caretakers cleaning up the room. This handsome little guy is just waiting for a family to scoop him up, snuggle and include him in their fun adventures! Luke is a darling boy who is described as active, playful, coordinated, well-behaved, sensible, and gentle. Luke is so many things, including capable and independent. 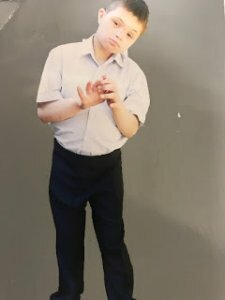 He can dress himself for the most part, use the bathroom on his own, and attends kindergarten each day, after which he spends the afternoons with his foster grandparents and tells them all about what happened at school. 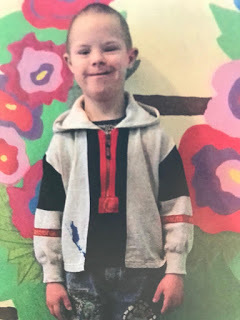 Luke has learned some counting, likes to draw simple shapes, gets along well with his classmates, and remembers most of what his teacher tells him. 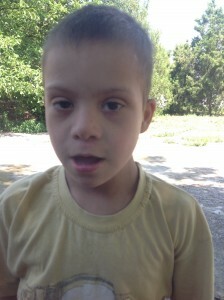 He loves music and dancing, and spending time with his foster family. Luke enjoys playing with toy cars and bikes, as well as bouncing a basketball around the neighborhood. He is a busy boy! Thanks to the foster care sponsors, Luke has truly thrived in his community and has developed a strong emotional foundation. He is very much loved by his foster family, and their greatest wish is that Luke finds a permanent, loving home. UPDATE from 2014: Luke is a cute boy, he is young but sometimes doesn’t follow orders from adults, but obedient if you speak to him patiently. 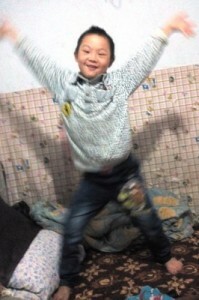 He likes cartoon program “Wisdom tree”, can imitate the show from it, make many poses when taking pictures. He likes playing in familiar environment, restrained in strange environment. Currently Luke goes to kindergarten, he can sing a few songs, can count, gets along well with other kids mostly, sometimes naughty. Luke has routine life, likes to eat meats, picky on food on which we are correcting, can urinate without help, defecates under the remind of adults, controls defecation not well. Lyle was found in the waiting room of a train station when he was 3 years old. While he can only speak a few words, he understands what is said to him by adults. He is very protective of his friends and will go to their rescue if they are being bullied. He likes to dance and is very good at imitating dances he sees. He is able to dress himself, take care of his own toileting needs and feeds himself. His caretakers feel that he is a bright little guy although intellectually delayed compared to his peers. He is very protective of his friends and will tell the teachers if he sees someone being bullied. He has great gross motor development, can jump, run and walk. He uses the restroom without assistance, dresses himself and can assist in folding clothes. 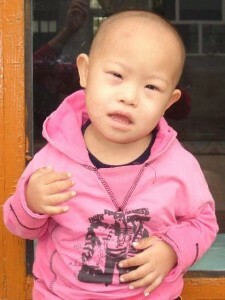 When we met Lyle, he was the dancer of the orphanage, very social and had great fine motor skills. He likes to be kissed on the cheek and will respond back with multiple kisses. Lyle is waiting for a family that will cover his little cheeks with kisses and shower him with love. 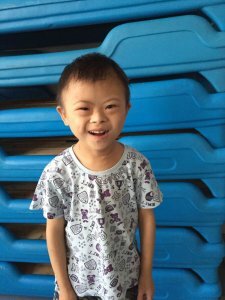 Colby is a precious boy who has been diagnosed with Down Syndrome and Patent Ductus Arteriosus (Congenital Heart Defect). From observation, the heart condition has no obvious affect on daily life. Colby is active, extroverted, and smiles often. When Colby hears music on the radio, he dances with joy. He does well in dance class and has a good sense of rhythm. 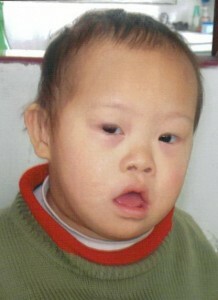 Colby also enjoys playing games with other children and likes to watch cartoons. Colby is very good at imitating; in his music and dance class, he learned a whole entire dance routine after being shown the first time! He has come a long way since his early days at the orphanage. At first, he was withdrawn and did not actively engage with others. Nowadays, he’s quite active and extroverted—he actively participates in all classroom activities. Although he was diagnosed with Down syndrome and has cognitive delays, his language ability has greatly improved. Every day before school, he’ll wave and say goodbye to his foster mom. When he comes home from school, he’ll say “hello mother” and “hello father” in his native language. Colby knows all the names of his foster family members, and can name common objects and foods. He has some challenges with expressive language but he’s quite good at understanding others. He has great self-care skills such as putting on his clothes and shoes, using the restroom, brushing his teeth, washing his face, and feeding himself. 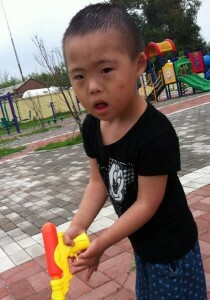 Colby gets along well with other children and likes to play games with them. 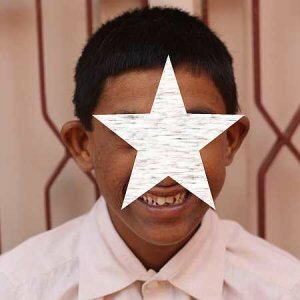 His report states that he has a congenital heart defect but that it does not have any obvious effects on his day-to-day life; he hasn’t received surgery for his heart as of May 2016. An agency staff member met him on a recent Journey of Hope trip to China and found that he’s quite talented and showed off his martial art and rollerblading skills! He can speak words and simple sentences, but also communicates through pointing, touch, and body language. He’s been living with his foster family for about 5 years and they shared that he’s a great helper around the house and loves outdoor activities. At the age of 3 years: he could sit steadily, sit up from supine position then stand up when holding onto handrails. He could practice horizontally walking quite well while holding onto handrails and even step on one bar. He could take step with one hand held, switch a toy between hands, and pick up small pills with thumbs and index fingers. He could take off clothes with both hands. He could cover his face with clothes and towel to play peekaboo with an adult. He could follow guide to watch the objects an adult points to. He could repeat one motion from adults, take out food from a pocket, understand simple words, and play with other children in the playroom of the kindergarten. He could be cooperative with putting on clothes. He knows the motions of welcoming and goodbye and the game of pinching fingers. When being cuddled by an adult, he could automatically kiss him or her. He could eat all kinds of food. He is shy when being called his name and covers his face with both hands. He likes playing balls, finger game. He is extroverted. What a handsome young fella! I adore how he’s standing with his hands in his pockets. 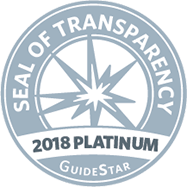 This is a great program with a wonderful agency partner. Hope you will consider Vaughn as your son! The last report from December 2014 states that his overall health is good. He has gained some weight. 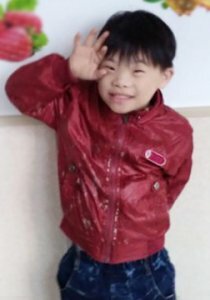 Still lives in a foster home where he has activities to help him with his skills and development, he is in the first grade at a school for special needs children. He loves to watch the TV program “Dora la exploradora” and playing with lego games. He likes to help around the house. Since July 2007 he has been with a foster family. Per report written in 2010: At the age of 36-39 months he can walk alone quite steadily, and when he was walking he can stoop down to pick up the toy on ground and then go on walking. At present he can only call “baba”, but he can express his desire in body language, and if he wanted to drink water he will put his hand beside his mouth and look up. When he wanted to defecate or urinate he will make the sound and show actions familiar to his mother. 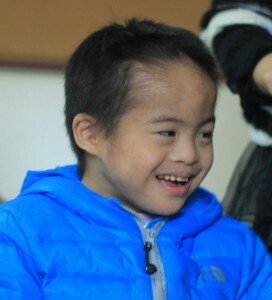 Since he had learned to walk he had been very interested in outdoor activity, and he went to play games with other children in community every evening. He liked pulling his mother to go to the supermarket near to their home, and when they got there he will point at what he liked. He was very close to his father, and when his father came back home he will go out to welcome him. At the age of 40-42 months he was very active, liked going out to play, even in cold days. He still did not speak much, besides father and mother he can say other words unclearly with the help of adults. He had to be fed, but he can drink water alone with cup with suction tubes. 43 months-present it has been too cold and he stays in house for most of the time. He likes to watch TV, and if there are children dancing in the program he will learn from them. He likes eating meat and is not choosy to food. He naps for 1-2 hours and has deep sleep. Sometimes he sleeps with adults, and sometimes he sleeps alone on his own bed. If he wants to go to toilet he will crouch and pull his trousers to tell adults sometimes. If adults remind him of going to toilet he will do so but they have to help him take off the trousers. 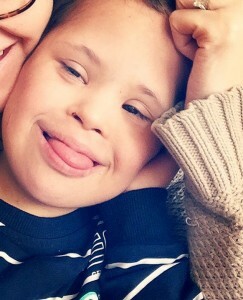 He is very strong and seldom falls ill.
Because Teagan has Down syndrome, his physical development, intelligence and mental development developed slowly and was delayed compared to kids of similar age obviously, especially motion and flexibility of his limbs were slightly poorer. In recent years, with the efforts of this institute and foster parents, he can stand by holding onto objects, walk slowly. 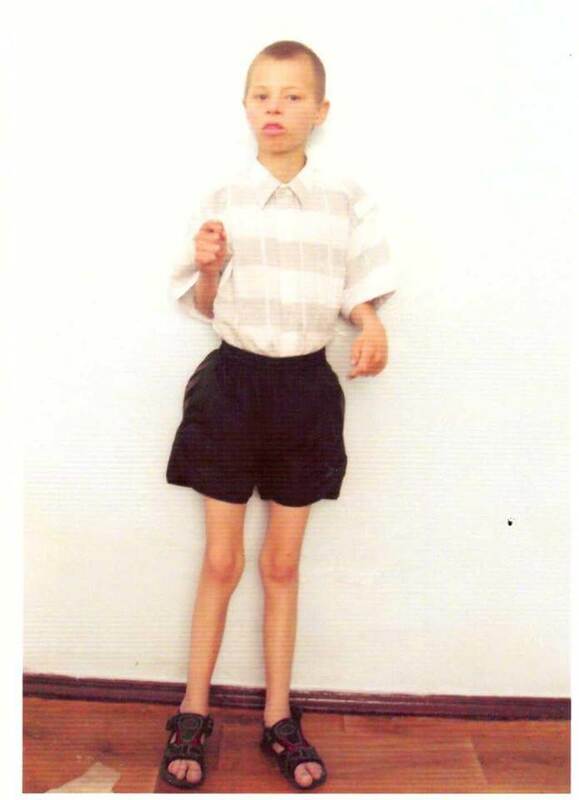 Now according to his growth foster parents offered him speech rehabilitative and limb training every day. Teagan is shy, has a ready smile, likes to listen to music very much. When music plays all of his attention is attracted. When being glad he will swing his body following the musical rhythms. He likes to play toys very much, in particular toy cars are his favorite toys. We hope that he who is shy could become more and more active. Teagan can sit, can understand simple language. His life is regular, has 3 meals per day, has dinners and goes to bed on time. 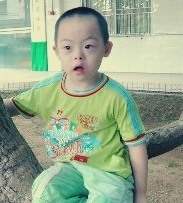 Every day he tells stories, plays games and has outdoor activity under the guide of the foster parents. Full social history and medical records available. Single moms permitted, only one parent has to travel. 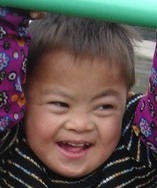 Corban’s physical capacity and mental development are delayed comparatively, due to his Down syndrome. As he grows older he has learned to roll over, crawl, stand by holding onto supports and walk by holding onto rails. Now he can walk forward with one of his hands led, he can distinguish familiar people and strangers. Seeing familiar people he can smile and greet them. He knows to be cooperative when dressed, give the clothes when asked, is a lovely little boy. Corban is gentle, quiet, has a ready smile. 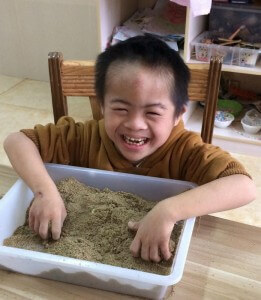 He has Down syndrome, but it does not influence his happy life. 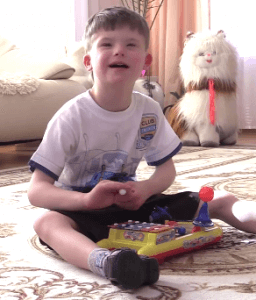 He likes to play with toys, listen to music, can wave arms following rhythms which looks very adorable. He is willing to play games with kids, likes toys making sound, will laugh aloud when playing happily. Seeing strangers he will cry noisily because of being unfamiliar with them in the beginning. He can play with you gradually, is integrated into the games you bring to him, is a sensible good child! Full social history and medical records available. Single moms permitted, only one parent has to travel. Videos available.